John McDowell and Hubert L. Dreyfus are philosophers of world renown, whose work has decisively shaped the fields of analytic philosophy and phenomenology respectively. 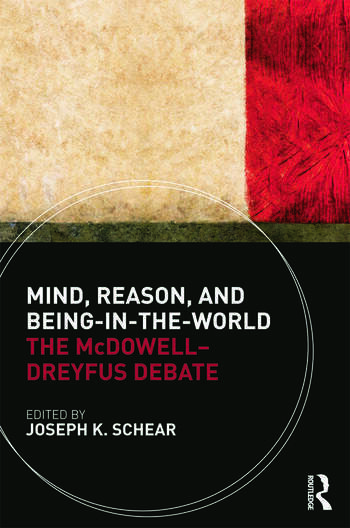 Mind, Reason, and Being-in-the-World: The McDowell-Dreyfus Debate opens with their debate over one of the most important and controversial subjects of philosophy: is human experience pervaded by conceptual rationality, or does experience mark the limits of reason? Is all intelligibility rational, or is there a form of intelligibility at work in our skilful bodily rapport with the world that eludes our intellectual capacities? McDowell and Dreyfus provide a fascinating insight into some fundamental differences between analytic philosophy and phenomenology, as well as areas where they may have something in common. Fifteen specially commissioned chapters by distinguished international contributors enrich the debate inaugurated by McDowell and Dreyfus, taking it in a number of different and important directions. Fundamental philosophical problems discussed include: the embodied mind, subjectivity and self-consciousness, intentionality, rationality, practical skills, human agency, and the history of philosophy from Kant to Hegel to Heidegger to Merleau-Ponty. With the addition of these outstanding contributions, Mind, Reason, and Being-in-the-World is essential reading for students and scholars of analytic philosophy and phenomenology. Joseph K. Schear is University Lecturer in Philosophy and Official Student (Tutorial Fellow) at Christ Church, University of Oxford, UK.